According to the Vice-President, the plastic industry has revolutionised many sectors. 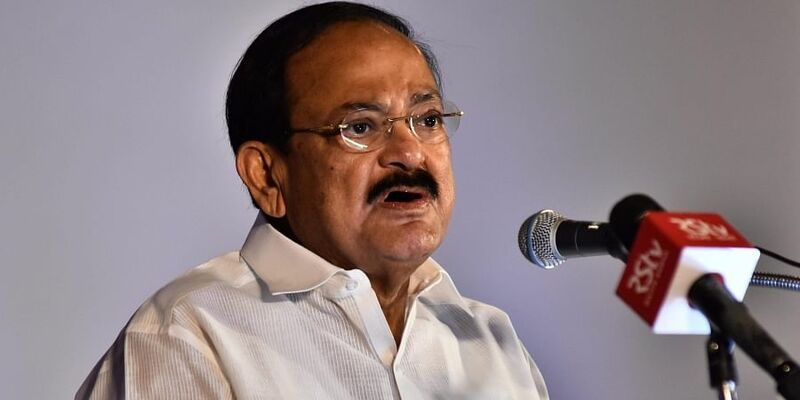 CHENNAI: Holding that the use of plastics posed several challenges to the environment, Vice-President M Venkaiah Naidu Thursday said, "reduce, reuse and recycle" should be the mantra for minimising the deleterious impact of plastics on the environment. Participating in the golden jubilee celebrations of the Central Institute of Plastics Engineering and Technology (CIPET) here, Naidu said, India should adopt better waste management technologies whereby used plastic becomes feedstock rather than a waste. "Plastic sector will account for 20 per cent of total oil consumption and 15 per cent of the global annual carbon budget by 2050. At the end of the day, it might not be possible to avoid the use of plastics. While there are a number of positive aspects of plastics, they pose several challenges to our environment," he said. Elaborating, he said, "convenience items that are intended for single use are being continually discarded to the landfills, littering our landscapes thereby creating threats for aquatic and marine life". Naidu called for steps to replace conventional plastics with biodegradable polymers and the focus of CIPET should be in that direction. He advised CIPET to take up awareness campaign on the need to recycle, re-purpose and reuse plastic items. "I would also like CIPET to make sustainability a guiding principle in all its endeavours. Reduce, reuse and recycle should be the mantra for minimising the deleterious impact of plastic on environment," he said. While harnessing the benefits of plastics, there is a need to ensure that they do not end up in oceans, he said. "There is no other alternative if we have to hand over a safer, cleaner and a healthier planet to posterity. Economics is fine, but what about the environment? This should be the uppermost thought in the minds of those dealing with plastics," he said. Improper littering habits and lack of awareness among the public on plastic waste management resulted in many hazards, he said adding it has to be ensured that the plastics are used "responsibly" and "recycled properly". While looking at the development of the petrochemical sector the usage of plastics has increased 20 fold in the past half-century and it was expected to double in the next 20 years, he said. "We should adopt better waste management technologies, involving a circular economy approach, where used plastic becomes a feedstock rather than a waste," he said.